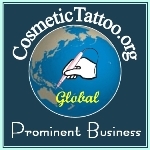 CosmeticTattooist.com offers comprehensive and innovative training via an Accelerated Interactive Vocational Education Program© (AIVEP) course framework. Our industry first training format provides our course participants an accelerated approach to learning via carefully structured course design, innovative methodologies, high standards and a relaxed learning environment. Enrolled practitioners are treated as our peers engaged in a shared learning process collaborating for professional development. Qualified Cosmetic Tattooists who purchase an Amiea Linelle are provided a $200 discount off of the price of Module 6 (Digital Training). Module 6 is a one on one practical training session in the use of the Amiea Linelle Supreme with a certified Workplace Trainer with the Victorian Registrations and Qualifications Authority. Cosmetic Tattooists who enrol can chose the procedure that they would like to perform and the procedure can be conducted either in your salon or ours (additional costs will apply for salon locations outside of the Melbourne metro). 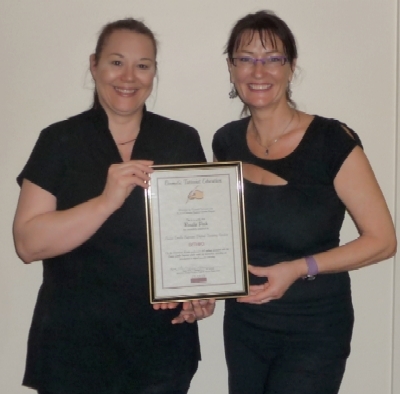 Please note that Andrea is providing the only genuine Amiea authorised training in Australia do not be misled into paying for unauthorised training on an Amiea device elsewhere. Andrea is the the only trainer in Australia who has undergone intensive training with the manufacturer on the full range of Amiea machines and needles. • An introduction to Digital Cosmetic Tattooing. • A demonstration on machine assembly and use of the Creatip needle system. • Explanation of the selection of Creatips for various procedures. • Explanation of the selection of pigments for use with the Linelle and an introduction to Monodose Pigments. • Recommended procedure setup for a more clinical approach to Digital Cosmetic Tattooing. • Demonstration of our handpiece covering system developed for extra procedural hygiene. • A full procedure of your choice performed on a model via one to one with a certified instructor. Upon successful completion of Module 6 participants are provided a certificate of completion. Module 6 can also be incorporated into your initial training as a Cosmetic Tattooist during Modules 2-5 at no additional cost if students purchase an Amiea Linelle Supreme prior to commencement of your practical training! Click Here to see our Gold Standard Training Guarantee . I just wanted to say ThAnK YoU! I'm extremely proud to be one of the first Cosmetic Tattoo Specialists in Australia to take delivery of this sensational machine. Your 3 hour training session with you with the Amiea Linelle Supreme was a pleasure, informative and very professional. I look forward to sharing treatment information experiences and updates with you soon. Kind regards, Rosalie"